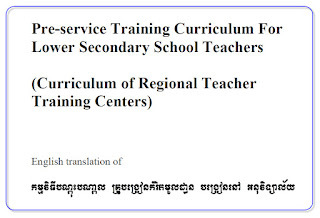 This is the 2005 version of teacher training curricula for the level of Regional Teacher Training Centres. There has been an updated version of 2012, separated files by subject. However, the latest version is still to be verified with the ministry prior to uploading process.